Summary: On our sixteenth birthdays, our kind is gifted with awesome powers. Except no, not really, because this isn’t Narnia, or Hogwarts, or whatever other mythical realm where witches supposed live. This is Elizabethtown, Illinois, and much to the chagrin of the local chapter of Susie-Homemakers, we live here. Rowyn, Rose, and Reed are the very best of friends. I thought that their friendship was written very sweet and realistically. There are varying dynamics in the relationships, and I think that the nuances between how the characters interacted with each other based on who was in the scene together was well written. Furthermore, each character was very distinct and had their own voice. Rowyn was very sarcastic, fiery, and independent, in contrast to Rose’s girl next door and happy demeanor. Of the trio, Reed seems to be the weakest link (sorry, Reed). I liked him as a character, but he didn’t really find his own voice until the end. So much of him was pinning for Rowyn or angry at Rowyn. The Tower is not what you would expect. As the summary says, this isn’t Narnia or any other magical realm, and there is no fantasy element despite the main characters being witches. They are simply pagan and practice real, practical rituals and ceremonies as real life pagans. Shortly after junior year starts, a tragedy strikes that alters the lives of our main characters irrevocably. This is really a coming of age contemporary of dealing with friendship, family, love, loss, and forgiveness. 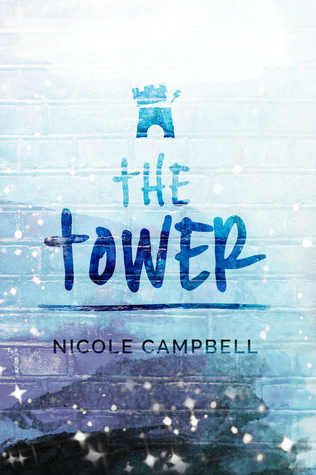 If you are looking for a quiet contemporary YA story, I would recommend The Tower. Although the main characters are witches, there’s nothing fantastical or paranormal about this story. There’s also not a lot of action. There are emotional obstacles and drama that the characters have to navigate.